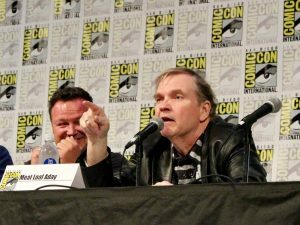 SDCC: Ghost Wars Panel - Meat Loaf Ain't Afraid of No Ghosts - Horror News Network - The Horror News You Need! 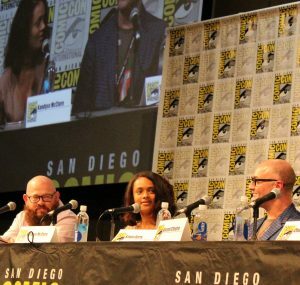 SYFY introduced their upcoming horror series “Ghost Wars” to a packed house at SDCC on Saturday evening. 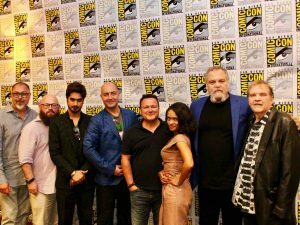 Joining the very full panel were stars Vincent D’Onofrio, Avan Jogia, Kandyse McClure, and Meat Loaf Aday. 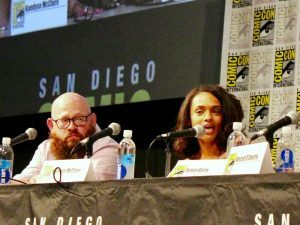 They were joined by creator/showrunner Simon Barry, writer/executive producer Dennis Heaton, and executive producer Chad Oakes. 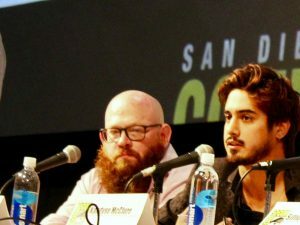 The cast and creators let the audience know that “Ghost Wars” takes place in a remote Alaskan town called Port Moore. The town is very isolated, only accessible four months a year, and has a big ghost problem. Barry explained that he is a fan of horror from the 1970’s and 1980’s and is inspired by the likes of Sam Raimi and John Carpenter. 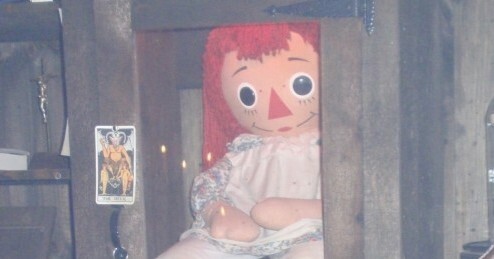 This was evidenced in the trailer shown which was loaded with horror elements and tension between the characters. All on the panel repeatedly noted that what makes this show so good is the great cast and how well everyone is working together. Meat Loaf and D’Onofrio have visible chemistry and appear to have already formed an amazing bond that will hopefully come across on screen. 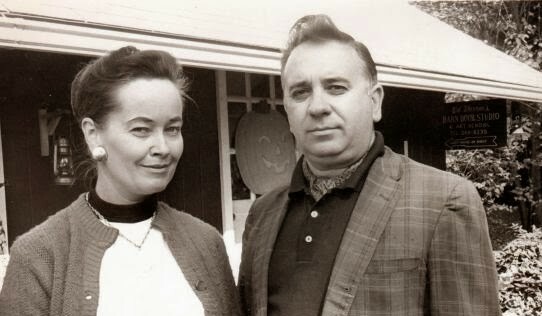 Interestingly, Meat Loaf was the first cast. 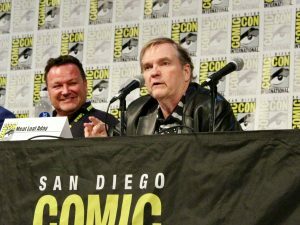 Oakes told the fans that they had tried to get Meat Loaf on Van Helsing but it didn’t work out. When the opportunity for a new show came up he jumped at the chance to cast Meat Loaf. Meat Loaf let everyone know that he really likes the complex character he is playing, Doug Rennie, and that Doug is not afraid of any of the ghosts in that town. 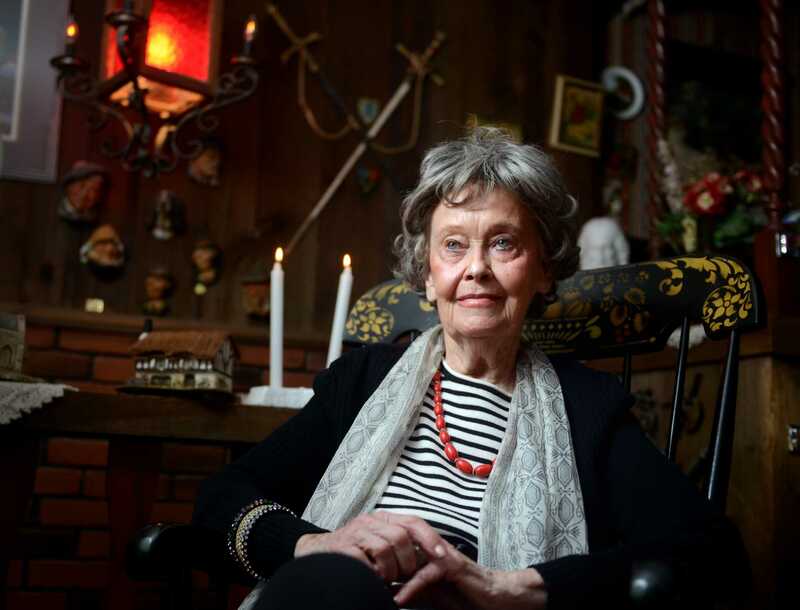 More information about this new show as well as press room videos will be posted here on Horror News Network soon. 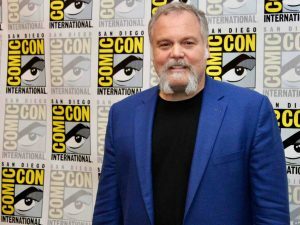 Comic-Con Synopsis: Catch an exclusive first glimpse of the highly anticipated new psychological horror series coming this fall to SYFY and Netflix. Meet stars Vincent D’Onofrio (Full Metal Jacket, Daredevil), Kim Coates (Sons of Anarchy), Avan Jogia (Tut), Kandyse McClure (Battlestar Galactica, Hemlock Grove), and Meat Loaf Aday (Fight Club) along with creator/showrunner Simon Barry (Continuum), writer/executive producer Dennis Heaton (Motive), and executive producer Chad Oakes (Fargo, Van Helsing) in a Q&A moderated by executive producer Michael Frislev (Fargo, Van Helsing). SYFY Synopsis: Ghost Wars is set in a remote Alaskan town that has been overrun by paranormal forces. Local outcast Roman Mercer (Avan Jogia) must overcome the town’s prejudices and his own personal demons if he’s to harness his repressed psychic powers and save everyone from the mass haunting that’s threatening to destroy them all.